Lunchbox Dad: Big Mother's Day Giveaway from Lunchbox Dad and PassionRoses! Big Mother's Day Giveaway from Lunchbox Dad and PassionRoses! Disclosure: PassionRoses sent me their product and allowed me to do a giveaway to promote their Mother's Day special sale. I received no other compensation and the opinions expressed here are solely my own. Mother's Day is the time to pull out all the stops and I know when it comes to my wife she wants roses. But not just any roses, she wants the best! She loves them, as do most ladies. I have been married for 12 years now and I have learned that on special days like this, I can get away with forgetting many things, but I better not forget the flowers! As a dad I recognize how important she is to our kids and to me. She does so much for our family, and although I try and show how much she means to us throughout the year, Mother's Day is one of the best times to do it! I remember the night that I proposed to my wife. I met her on the doorstep with roses, a new dress, and reservations for a nice restaurant. Ever since then, roses have a special meaning for us. This Mother's Day, I am giving her amazing roses from PassionRoses.com and you can give your mother, wife, or significant other the same! You might even be one of three lucky Lunchbox Dad readers to WIN TWO DOZEN ROSES DELIVERED TO THEIR DOOR! PassionRoses is a family-oriented company from Bogota, Colombia dedicated to providing the highest-quality roses, both in beauty and sustainability. The awesome thing about this company is that they are committed to supporting the communities where they live through education, donations and community outreach. 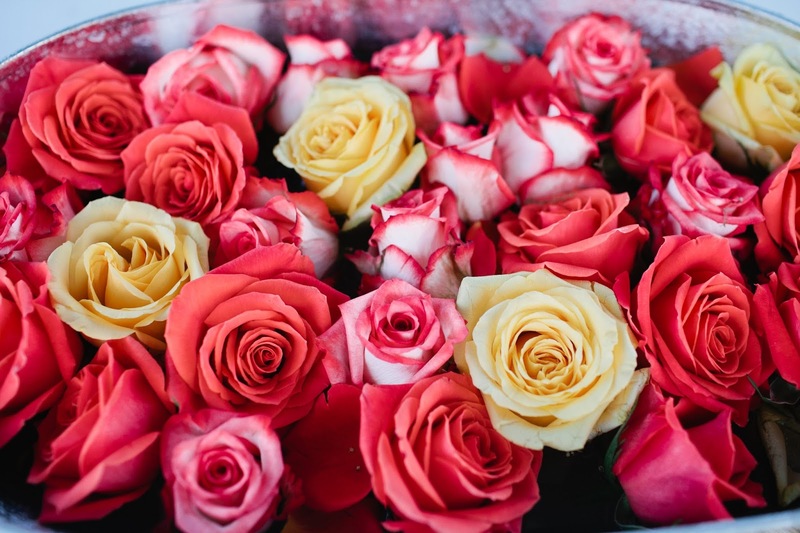 You can find their roses in many stores around the country in just about any color imaginable. In fact, PassionRoses are the official rose of the Miss America Pageant (shown to the left) and the Rose Bowl Game. To find out more information on these amazing roses go to www.passionroses.com. PassionRoses is not only giving every Lunchbox Dad reader a discount code (on the right), but three of you will win two dozen roses for FREE delivered right to your special someone's door. Just enter using the Rafflecopter Box below! Hurry this giveaway ends on April 30! I love white roses. They are so beautiful and pure. I love Yellow Roses, because I'm a Texas Girl! I love salmon pink roses, a gorgeous color found in a perfect sunrise. Love your ideas! So will my kids. Yellow Roses are my fav! I prefer mixed colors. I'm a buffet kind of person. I like a little bit of everything! I've always loved yellow roses, they are so bright and sunny...full of cheerfulness. Red roses are my favorite, I think. Classic! My favorite color rose is orange. I love bright pink roses because pink is my all time favorite color! I like the pink & white ones - very pretty! I like all colors.....I love yellow or orange...red or pink and white too! I love the pale peach ones. I love that they stand for Modesty! I love white roses BC they are so pure to me. I love purple roses. Purple is my mother's favorite color, so it's become one of my favorites as well. She also has a ton of purple roses planted in her front yard, so they remind me of her. my favorite color rose is purple and red roses. purple was my grandmaws favorite and red is my moms favorite and both of these women are the most important people in my life who've helped make me into the mother I am today. My favorite color is orange. Orange always reminds me of fall and the beautiful orange leaves that are everywhere you look. Can you beat this #LatteRomeo and win $500?